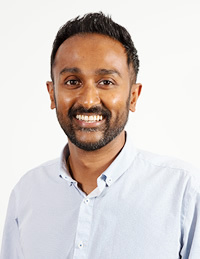 Saj is a stalwart figure in the Canning Vale community, having worked at our sister practice, Ranford Road Dental Centre, since its inception in 1997. After two decades there, Saj took the opportunity to expand his horizons at Dentist WA Canning Vale. Your comfort is my absolute priority. He earned his dental degree at the University of Western Australia in 1995. Since that time, he has actively pursued many areas of dentistry, holding a strong interest in cosmetics and aesthetics. In his spare time Saj loves spending time with his family.